Love what we do? 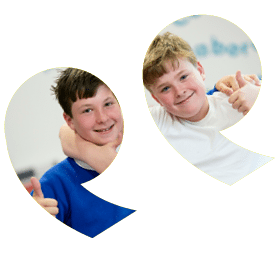 Save £5 per month for every child who joins Explore Learning based on your referral. Refer your friend to any one of our 120+ centres across the UK. We’ll reduce your monthly membership by £5 per month for every child who joins based on your referral! Referring new members can reduce your subscription to £24 per child per month, but cannot be reduced below this. The referral must be notified to Explore Learning within two weeks of the referred member starting.